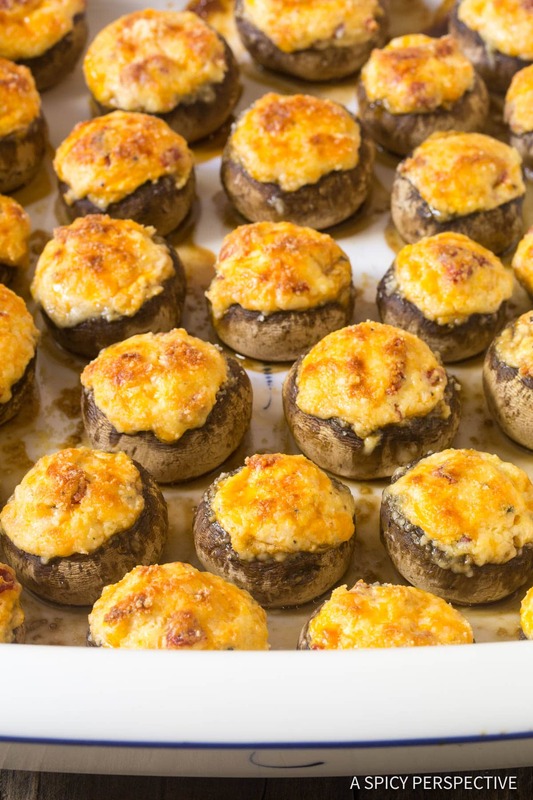 This is the Best Cheese Stuffed Mushrooms Recipe we’ve ever made. Puffy, perky, and packed with cheesy flavor. Give it a try this holiday season! I have always love stuffed mushrooms. As a child, my mom would make them for holiday gatherings, stuffed with bread crumbs and sausage. 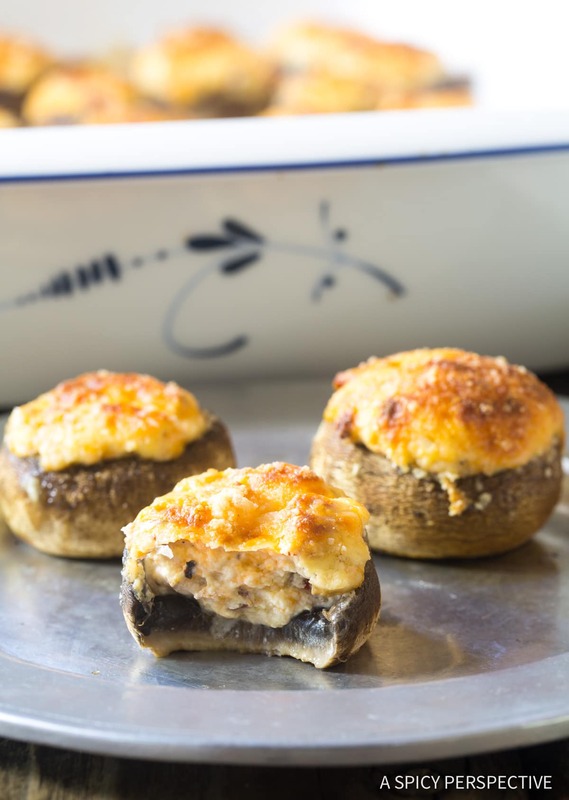 Over the years we’ve made many variations of baked mushrooms, from Asian-inspired stuffed mushrooms glazed in plum sauce to hearty chorizo Spanish stuffed mushrooms. Although I enjoy them all, the most memorable stuffed mushrooms recipe I’ve ever eaten was served at our wedding nearly 20 years ago. Most brides don’t eat at their weddings. They are either too nervous or too busy to sit down and take a bite. However, I have never been one who could (or would) go without food. It’s possible I coined the phrase hangry long before it became a part of pop culture. I knew there was no way I would make it through our monumental evening without sustenance. So when the time came to eat at our reception, I headed to the elaborate dinner buffet and shamelessly loaded up my plate. The only thing I actually remember eating that night were the stuffed mushrooms. They were soft, silky, and packed with oozing cheese. So different from the bread stuffing mushrooms my mom made. Today’s Best Cheese Stuffed Mushrooms are a copycat version of the mushrooms served at my wedding. Made from memory, I can’t say they are exactly the same as the mushrooms we ate so long ago. Yet they are divinely delicious. 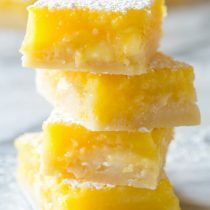 Each bite makes me close my eyes in happy memory of that special day. 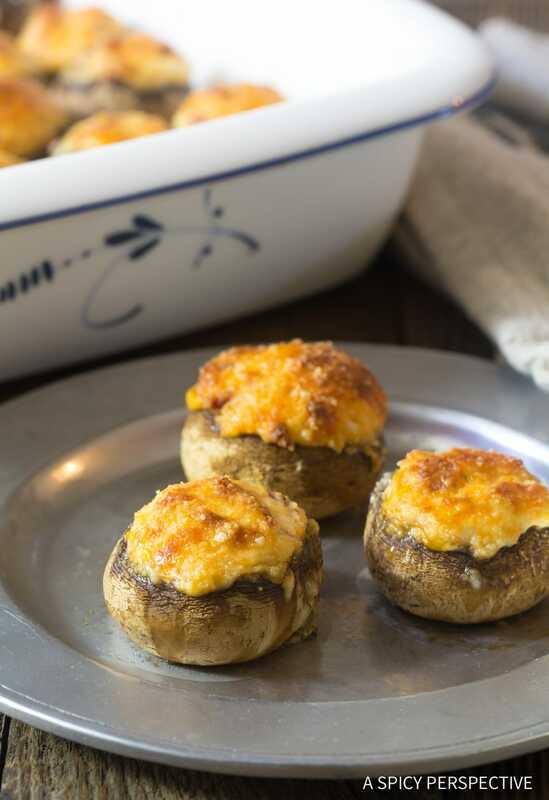 These Best Cheese Stuffed Mushrooms are very easy to make using only 7 ingredients, plus salt and pepper. 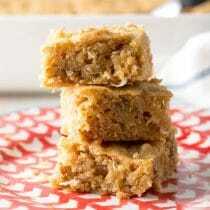 They are vegetarian, gluten free, and can even fit into a ketogenic diet. Button mushrooms – Select medium sized mushrooms that can be eaten in 1-2 bites. You can also go with cremini mushrooms if you prefer. Cream cheese – The base of the creamy filling. Smoked cheddar – For bold smoky flavor. 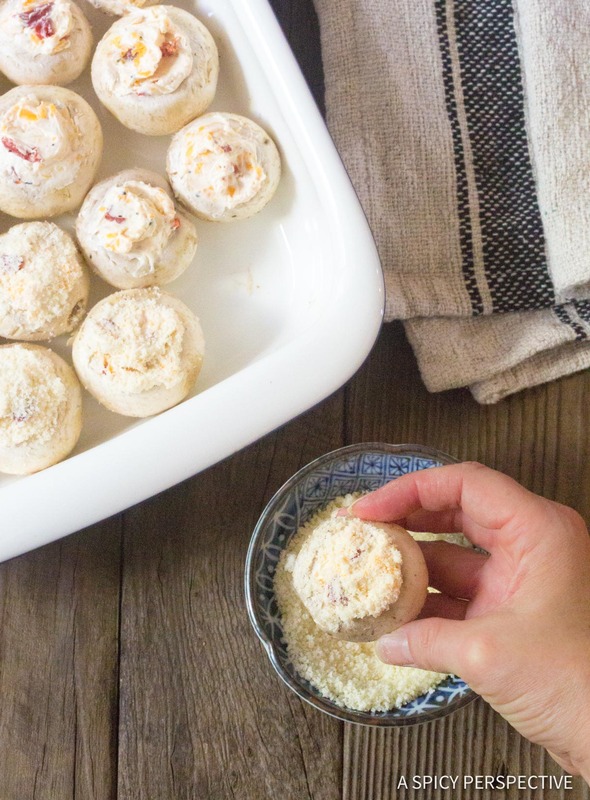 Parmesan cheese – To create a crusty top. Roasted red peppers – Adds a pop of tang and color. Onions and garlic – Mushrooms’ BFFs. 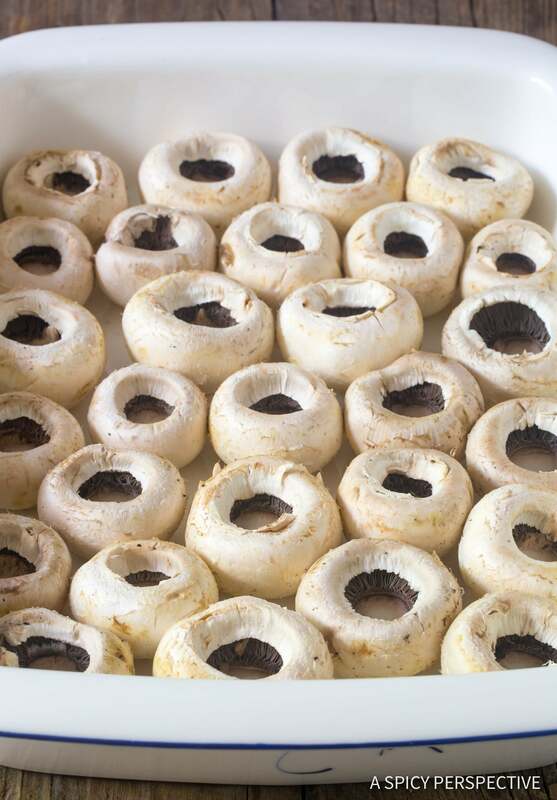 Prep the Mushrooms – Gently pop off the stems of the mushrooms to create a cavity inside. Either discard the stems or save for later use. Then use a damp paper towel to brush off the dirt on the mushroom tops. 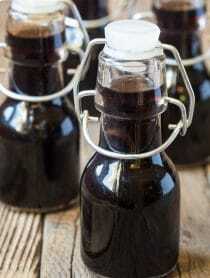 It’s best not to rinse mushrooms or submerge them in water, because they absorb liquid quickly. 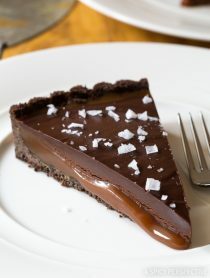 Mix the Filling – Soften the cream cheese. Then mix it with the shredded smoked cheddar cheese, diced red pepper, onion, and garlic. Salt and pepper the mixture just a tad. 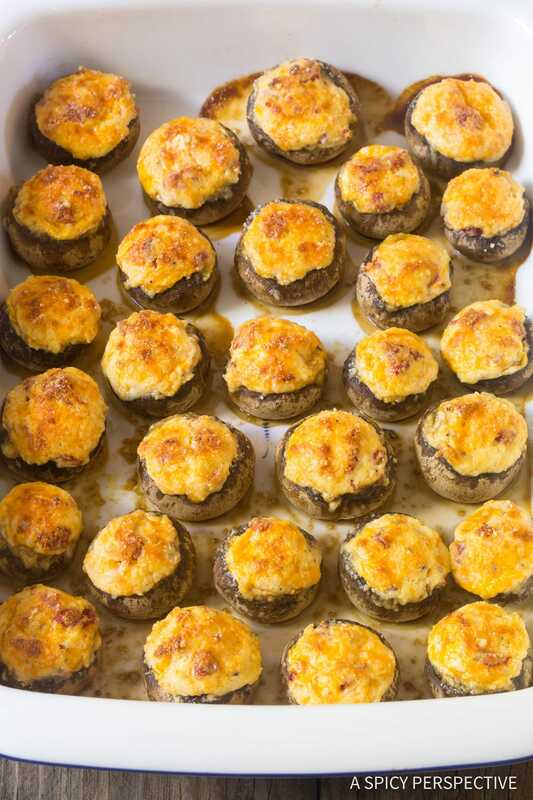 Fill the Mushrooms – Fill the mushroom cavities with plenty of cheese filling. It’s ok if it pops over the top; that gives the parmesan cheese something to cling to. 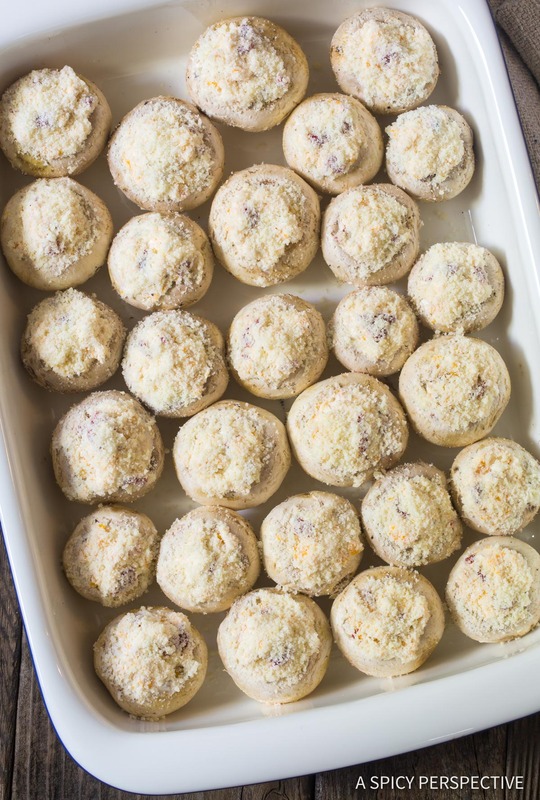 Coat the Tops– Press each cheese-stuffed top in grated parmesan cheese. Set them in the baking dish, cheese-side-up. They should fit tightly in the baking dish, but will shrink while baking. Bake – Leave in the oven for 30-35 minutes, until the tops are puffed and golden. The mushrooms should look dark and soft. If you can’t find smoked cheddar, use smoked gouda, or regular cheddar cheese. You can swap the button mushrooms for other mushroom varieties with a similar shape. Don’t love roasted red peppers? 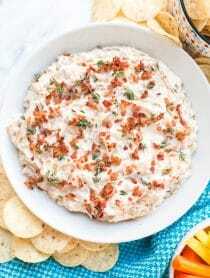 Substitute chopped sun dried tomatoes. Need meat? Add in some crumbled bacon. Stuffed mushrooms do not freeze well. If you need to make this recipe ahead, prep and fill the mushrooms up to two days ahead. Then refrigerate them until ready to bake. 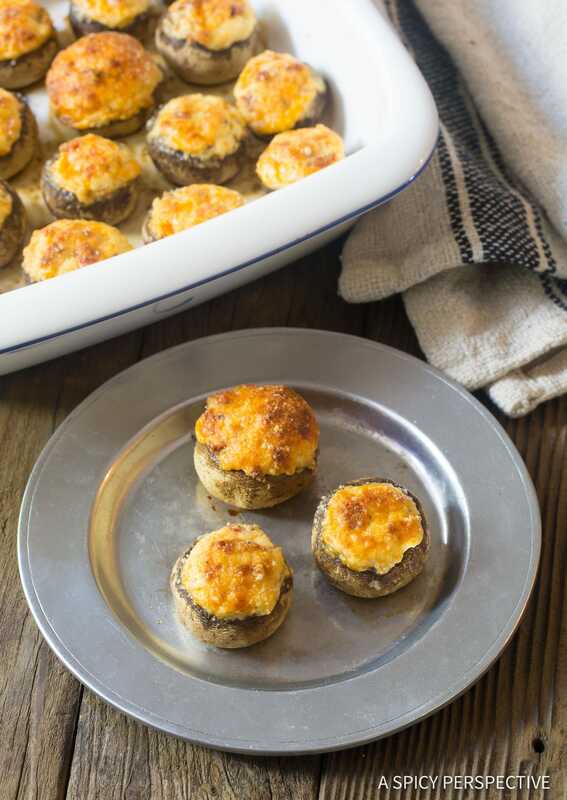 Best Cheese Stuffed Mushrooms - A simple three cheese-stuffed mushroom recipe with smoked cheddar, cream cheese, Parmesan and roasted red peppers. Preheat the oven to 350 degrees F. Set out a 9x13-inch baking dish. Gently pop off the stems of the mushrooms. Discard the stems or save for later use. Then use a damp paper towel to brush off the dirt on the mushroom tops. Do rinse them in water. 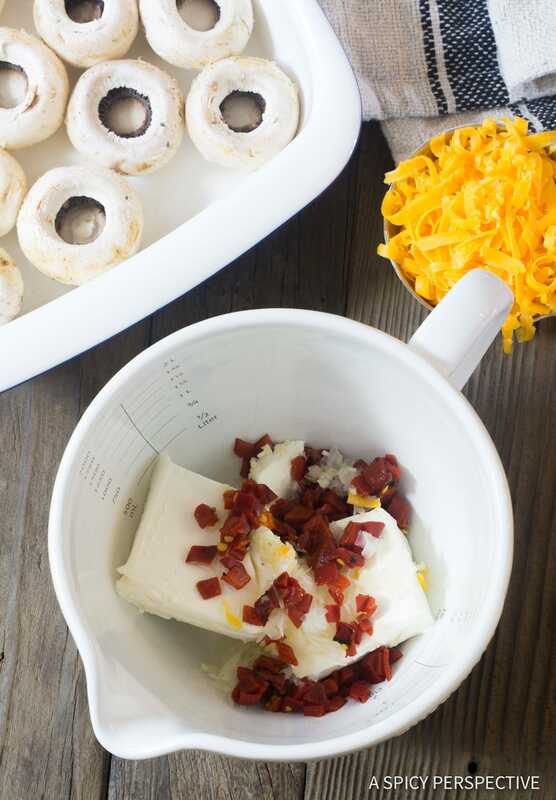 In a medium bowl, mix the cream cheese, smoked cheddar cheese, diced red pepper, onion, and garlic together. Add 1/4 teaspoon salt and 1/4 teaspoon ground black pepper. Mix well. 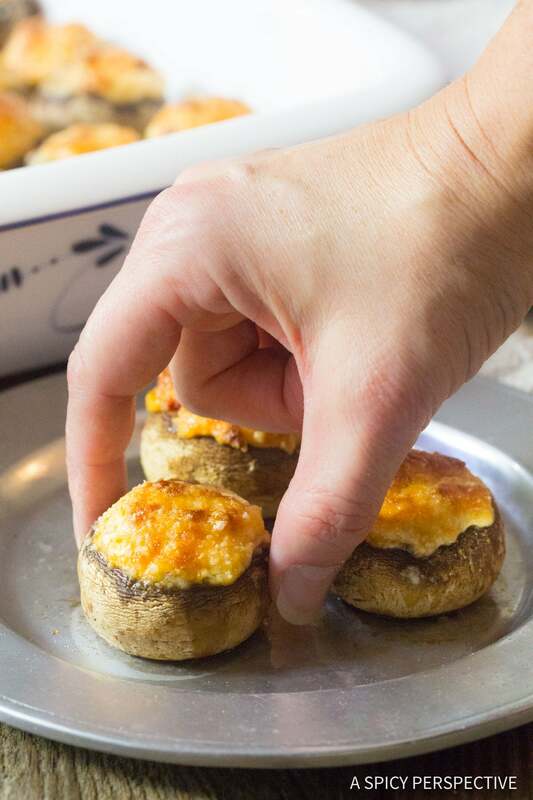 Use a spoon to pack the cavity of each mushroom with cheese filling. It's ok if it pops over the top a little. Bake for 30-35 minutes, until the tops are puffed and golden. Serve warm. 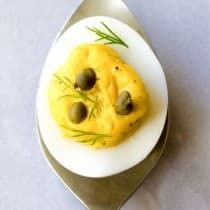 This is a great party appetizer to prep a day or two ahead, then bake right before your event. Hello, this is the first review I’ve written I have made these mushrooms no less then two times exactly as the recipe says and they have turned out amazing every time and my friend all love it. 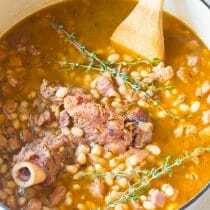 Thanks for your recipe and wait a new your post!